After many years—and many trips—you’ve conquered Asia’s beaches. You know the unspoiled spots in Thailand, Cambodia, and Vietnam. You’ve island hopped around Indonesia, Malaysia, and the Philippines. You’ve even started exploring Myanmar’s formerly off-limits coast. But there’s one country that isn’t even on your beach radar. It’s too bad, because it has the longest uninterrupted beach in the world. That beach is along the southeastern coast of Bangladesh. 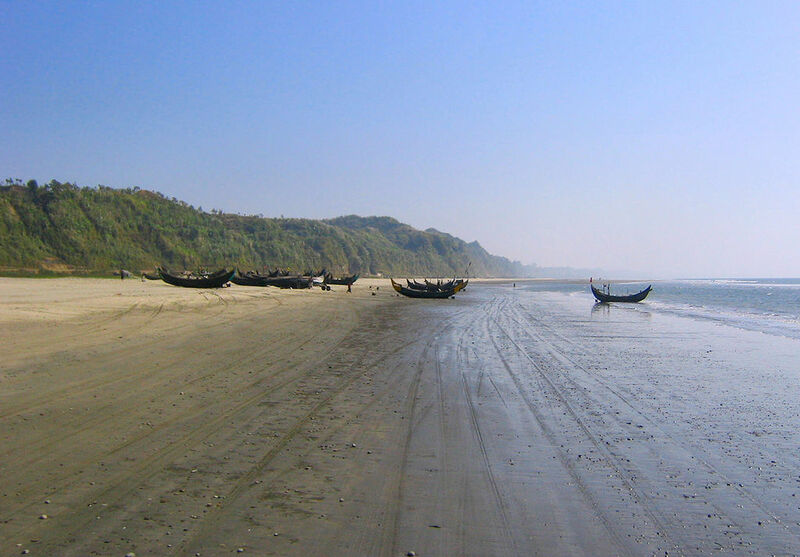 Cox’s Bazar is one of the most visited spots in this South Asian country. It’s 125-kilometer-long beach, along the Bay of Bengal, is gorgeous. It has golden sand, a gentle slope, and old-fashioned fishing boats. It’s bordered by high cliffs and Buddhist temples. Unsurprisingly, it’s become one of the most visited spots in the entire country. But since less than 200,000 tourists traveled to Bangladesh last year, the beach is far from overrun. But after spending the day beachcombing along the edge of the water, surfing the high swells, and gorging yourself on seafood, you can’t picture yourself settling in at one of the high-rise hotels in the center of town. Something smaller, quieter, and more authentic seems more fitting in this situation. The Mermaid Eco Resort sits just south of Cox’s Bazar along the Reju Canal and Himchari National Park. There is no air conditioning or televisions here. Instead you find water bungalows that sit on stilts above a lagoon. 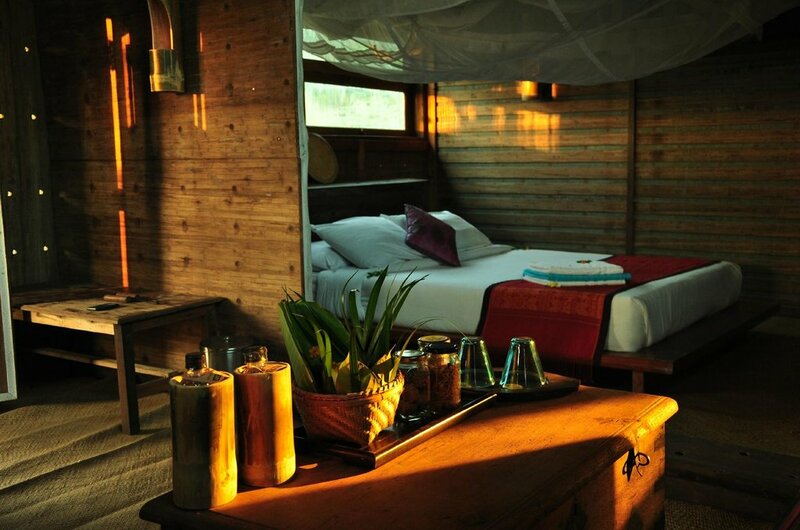 The rustic accommodations have pressed bamboo walls, thatched roofs, and reclaimed teak furniture. Hammocks dangle on the verandas. Warm colors make you feel right at home. While handmade toiletries fill the bathrooms. You had only planned to stay for one night, but that no longer feels realistic. Sip fresh juice from the juice bar as you stare out at the calm lagoon. Learn the area’s traditional fishing methods from a local fisherman when the tide comes in. Relax on large mats and fluffy pillows along the lagoon’s Mermaid Beach as the sun sets. Feast on crabs, prawns, and the fish you caught earlier at Eat the Time. Then decide how to spend your extra time in Cox’s Bazar. Hike through the national park’s tropical rainforest in search of Asian elephants? Visit the hilltop Hindu temple on nearby Moheshkali Island? Or return to walk along that endless beach again? You have a lot of sand to cover before you can claim to have conquered this one.